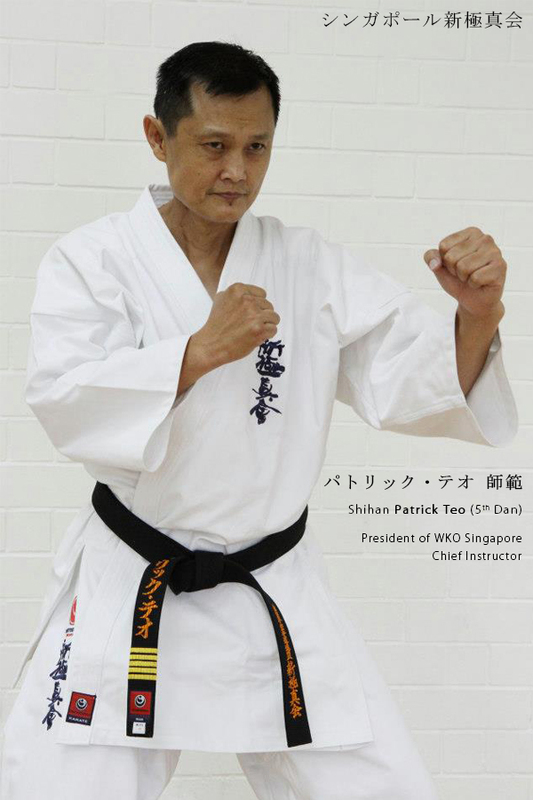 Shihan Patrick Teo is our Country Representative and President of the World Karate Organization (WKO) Shinkyokushinkai Singapore. With over 30 years of coaching experience, his dedication has seen the rise of many promising young and late adulthood karate fighters comprising male and female students from all walks of life. During his national service stint, Shihan Patrick was a member of the elite 1st Commando Battalion. Shihan Patrick was awarded his 5th degree blackbelt in 2007. The grading was conducted in Japan and despite his age of 43 then, he had to proof himself against many younger men half his age from various countries (e.g. Japan, Russia, Brazil etc.) in a 50-man Kumite (ie. full contact sparring). This is a true testament of his spirit and commitment. To date, Shihan Patrick is the only Singaporean to have competed and fought in 2 world open tournaments (held once every 4 years). He now dedicates his efforts beyond individual accomplishment to advancing the art of Karate.